High Fashion Is Just The Matrix Cosplay NowLooks inspired by the movie’s four main characters could be seen on the spring 2019 runways. If You Miss Old Celine, You’ll Love This French LineMaison Kitsuné’s fall collection was designed by Yuni Ahn, who worked under Phoebe Philo. Men Are Finally Getting Their Own Celine ShowHedi Slimane will show his next collection in Paris. Dakota Johnson Looks Bloody Good in the New CelineThe actress wore a dress by Hedi Slimane to the Suspiria premiere. Celine’s New Designer Would Rather Not Be Compared to Trump, ThanksHedi Slimane reacts to the backlash against his spring collection. Celine, Against All OddsThe reactions to Hedi Slimane’s debut have been mixed, but require a closer look. Celine Debuts New Logo Inspired by Original 1960s VersionThe change comes under the helm of Hedi Slimane. Of Course Lady Gaga Is the First Person to Wear New-Era CélineShe gave a sneak peek into one of the most anticipated upcoming collections. Bottega Veneta Has Named Its New Creative DirectorThe new designer comes from Céline. Céline Is Dead, Long Live CélineLuxury fashion marches on with Hedi Slimane. Designer Hedi Slimane Is Joining CélineHe will lead the brand into menswear, couture, and fragrance. 10 Reasons to Be Really Sad About Phoebe Philo Leaving CélineIt’s the end of an era. Phoebe Philo, Céline, and the Death of Leisure TimePhilo is a designer for a slower era. 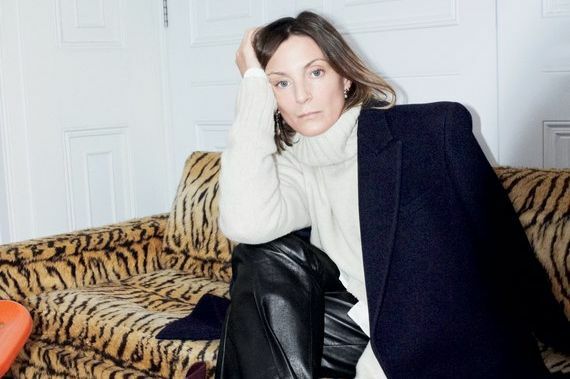 Phoebe Philo Is Leaving CélineAfter ten years designing for the brand. A Cowboy Boot for the Minimalist City SlickerCéline’s design is enough to convince even the most die-hard urbanite. Céline Will Reportedly (Finally) Start Selling OnlineAs early as next week. Phoebe Philo Is Rumored to Leave CélineThe brand’s parent company, LVMH, is reportedly interviewing replacements. Try the Relaxed Suit As Your New Work SilhouetteThe ’80s power suit is back, but updated for a new millennium. Excavating Givenchy’s EssenceClare Waight Keller returns the brand to tailoring, promisingly. Plus: Gvasalia goes his own way at Balenciaga, and Philo gets personal at Céline. 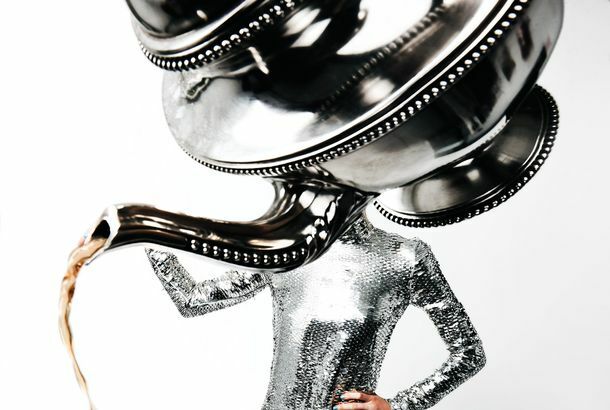 Space-age Silver Is Fall’s Metallic of ChoiceClothes for shiny, happy people. A Structured Bag Thats Anything But Old-FashionedRed leather anyone? These 3 Products Saved My Céline Bag From Wet WeatherI found them combing through Purse Forum. This Is the Cool White Sneaker You Should Buy NowIt’s the only thing you’ll want to wear this summer. Céline Has Finally Joined InstagramSo far, the brand has only posted feet. Céline Might Finally Starting Selling OnlineThe French house has been a longtime digital holdout. The Mystery of Phoebe PhiloThe designer has a private language, but her clothes speak to today’s woman. The Newest Céline Bag Is Here, and It’s Sure to Cause a FrenzyMeet the Tri-Fold. Yes, Céline’s Luggage Bag Is Still Worth the SplurgeThe latest colors are in stores now. Of Course Céline Has the Weird, Chic Shoe You Want This SpringStraight off the runway and onto your wish list. Everything You Need to Know About the Céline ShowFlowy silhouettes and earth tones. Céline Is Always the Cure for the Winter BluesThe new colors for its Trotteur bags will have you psyched for spring. See Juergen Teller Capture Céline’s Steely GazeGleaming white fabrics, luxe black lace. Why Shoulders Are The Official Erogenous Zone of Spring 2016Everyone from Phoebe Philo to Zara is pushing the look. All the Best Looks From Céline Resort 2016Notably, elf shoes. 5 Things I Want to Wear From Paris: Part 3Stripes, embroidered separates, and Céline studded boots. Treat Yourself Friday: A Céline Top for LifeA little splurge never hurt. Cool Clips Are the Hair-Elastic UpgradeAn adult solution to black hair ties. The Gucci Model Who’s Also an Industrial DesignerMeet your new side-hustle inspiration.